Alaska, 1920: a brutal place to homestead, and especially tough for recent arrivals Jack and Mabel. Childless, they are drifting apart. In a moment of levity they build a child out of snow. The next morning the snow child is gone--but they glimpse a young, blonde-haired girl running through the trees. Mabel had known there would be silence. That was the point, after all. No infants cooing or wailing. No neighbor children playfully hollering down the lane. No pad of small feet on wooden stairs worn smooth by generations, or clackety-clack of toys along the kitchen floor. All those sounds of her failure and regret would be left behind, and in their place there would be silence. When Mabel first arrives in Alaska, it seems a bleak and lonely place to her. Does her sense of the land change over time? If so, how? Why are Jack and Mabel emotionally estranged from each other in the beginning of the novel, and how are they able to overcome that? How do Esther Benson and Mabel differ in temperament, and how does their friendship change Mabel? The first time Garrett sees Faina in person is when he spies her killing a wild swan. What is the significance of this scene? Jack and Mabel's only child is stillborn. How does this affect Mabel's relationship with Faina? My experience of reading this novel was extremely personal. It touched me deeply in a way that I'm not sure it would have had I not identified so closely with its emotional core. So I feel affection for The Snow Child that belies my disappointment in the novel as a whole. Eowyn Ivey's writing is enchanting, a pure pleasure to read. She fleshes out the landscape with striking and sensuous detail, saddles her characters with palpable pain and then blesses them with fleeting moments of contagious bliss. Every one of them is delightfully likeable, if not loveable. Despite the intimacy of their emotional lives, Ivey keeps her characters at a slight remove, which underscores their fairy-tale underpinnings, making them wistful and sweetly sad, rather than deeply, seriously sorrowful. (Reviewed by Lucia Silva). A fine first novel that enlivens familiar themes of parenthood and battles against nature. Starred Review. A fluid, absorbing, beautifully executed debut novel; highly recommended. Can melt a frozen soul. In her debut novel, Ivey has achieved what can often take half a lifetime for other writers. She has re-created an entire world - both physically and emotionally - and married them into a unique narrative of heart-stopping beauty... It's a triumph. If Willa Cather and Gabriel Garcia Marquez had collaborated on a book, The Snow Child would be it. It is a remarkable accomplishment - a combination of the most delicate, ethereal, fairytale magic and the harsh realities of homesteading in the Alaskan wilderness in 1918. Stunningly conceived, beautifully told, this story has the intricate fragility of a snowflake and the natural honesty of the dirt beneath your feet, the unnerving reality of a dream in the night. It fascinates, it touches the heart. It gallops along even as it takes time to pause at the wonder of life and the world in which we live. And it will stir you up and stay with you for a long, long time. The Snow Child is enchanting from beginning to end. Ivey breathes life into an old tale and makes it as fresh as the season's first snow. Simply lovely. A transporting tale... an amazing achievement. The Snow Child is a vivid story of isolation and hope on the Alaska frontier, a narrative of struggle with the elements and the elemental conflict between one's inner demons and dreams, and the miracle of human connection and community in a spectacular, dangerous world. You will not soon forget this story of learning to accept the gifts that fate and love can bring. Eowyn Ivey's exquisite debut transports the reader away to a world almost out of time, into a fairytale destined to both chill and delight. 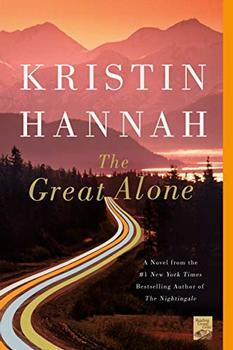 Her portrayal of an untamed Alaska is so detailed you can feel the snowflakes on your own eyelashes, even as her characters' desperate quest for, and ultimate redemption by, love will warm your heart. This was an enchanting, magical story. Don't miss it! Definitely sets the scene of Alaska Wilderness. Not yet finished with the book, but love it so far. 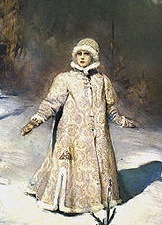 The Snow Child is based on a Russian fairy tale, Snegurochka. As told in the English versions (Arthur Ransome's "Little Daughter of the Snow," from Old Peter's Russian Tales and Andrew Lang's "Snowflake," from The Pink Fairy Book), a childless couple builds a girl out of the snow in a fit of playfulness, and she comes to life.